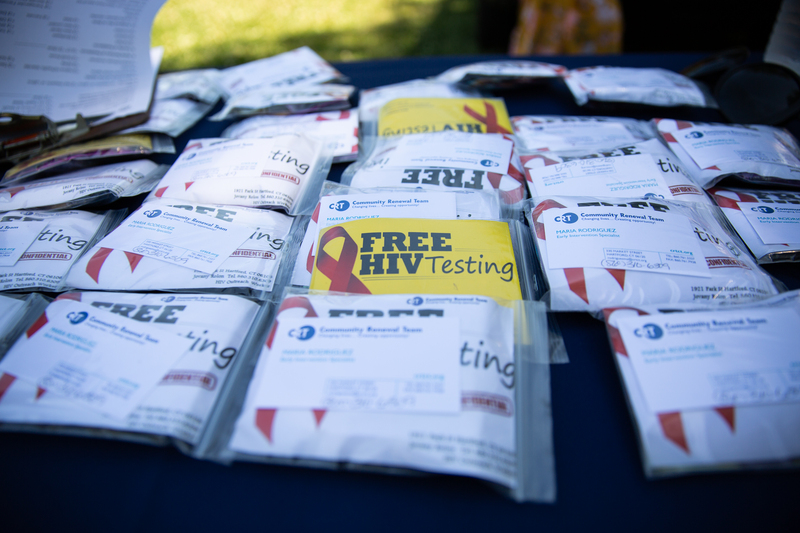 At Hartford’s Barnard Park, a triangular patch of grass interlocked by streets south of downtown, free HIV screenings were underway in the back seat of a gray Nissan Rogue. Of course, Melendez and her crew would like to identify who is HIV-positive, to provide them services and access to medication. 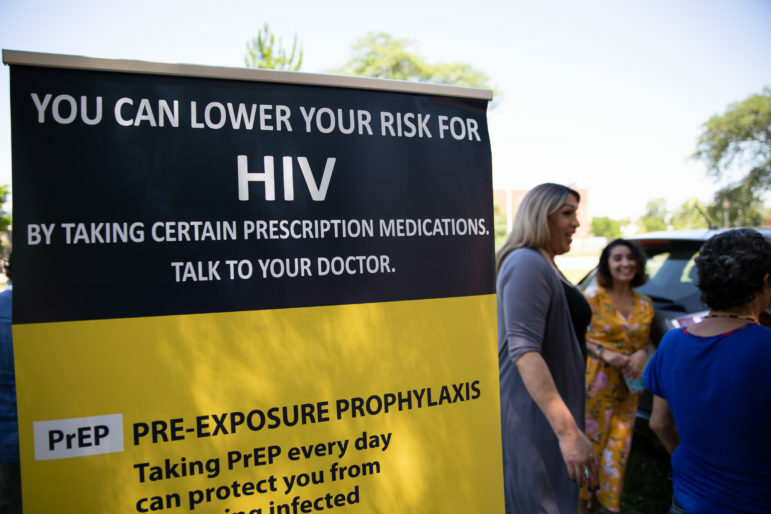 PrEP navigator Tatiana Melendez, standing tall next to the PrEP promotional poster, is doing HIV prevention outreach at Hartford’s Barnard Park on a recent Friday. Melendez, a.k.a. Lady Tatiana, began working for the Community Renewal Team in May and is trying to reach populations vulnerable to the virus. Photo by Ryan Caron King. The web of intricate factors that experts say has fueled the stark racial disparities in new HIV infections — social determinants of health such as poverty, racism, lack of access to healthcare and stigma — has also made it hard to get PrEP to people who might need it the most, according to outreach workers and state public health officials. 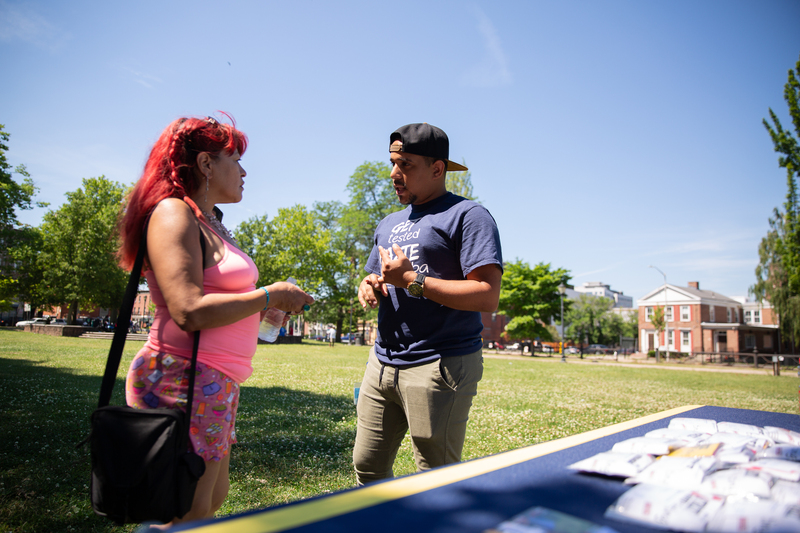 An HIV prevention crew at Community Renewal Team distributes baggies of information during an outing at Hartford’s Barnard Park this summer. The team was promoting PrEP, a preventative drug, and offering free, rapid HIV screenings in the backseat of a CRT employee’s Nissan Rogue. A crucial part of Melendez’s job as a PrEP navigator is helping clients get around typical barriers to healthcare, such as cost and access. She arranges doctor’s visits for people interested in PrEP and figures out how to pay for the pricey medication through insurance or rebates. But first, folks need to know that PrEP exists. 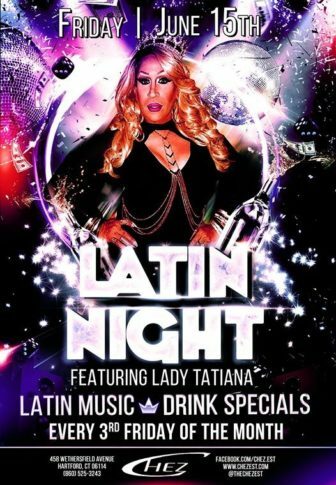 The outreach squad at Community Renewal Team has hit up homeless shelters and senior homes — and has recently added five heterosexual Latin bars to the list because of connections that Melendez has in the nightclub scene, Rolon said. The team fielded questions, stares, and personal history intakes for nearly three hours before packing up for lunch. Overall, they conducted about 19 HIV tests in the backseat of the Nissan, doubling their goal. Vanessa de la Torre is a reporter at Connecticut Public Radio. This series is a collaboration between The Connecticut Mirror, Connecticut Public Radio, and the New England News Collaborative.